What's the best gift you can expect as an employee from your boss? A Surat diamond trader gifted 600 cars to his employees as a Diwali gift. 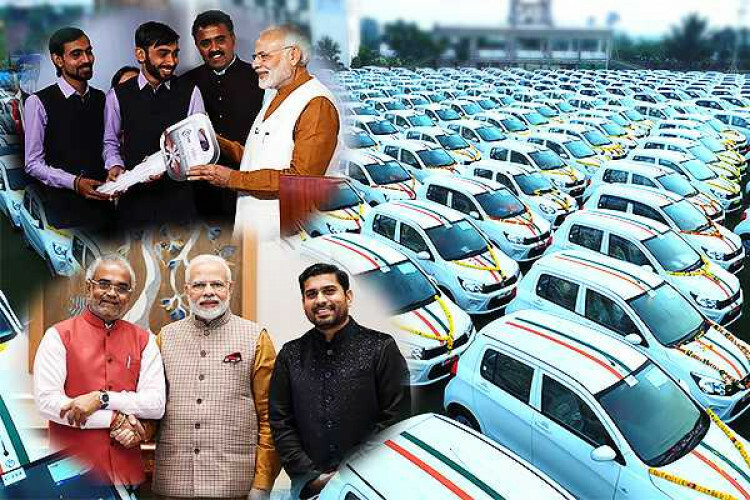 Savji Dholakia, in a special ceremony called 'Skill India Incentive Ceremony' on Thursday, gifted his employees 600 cars, manufactured by Maruti Suzuki. PM Narendra Modi also attended the event and handed over car keys to a few workers. While others were given cash and apartments.